It’s not a complete loss though. The linen was salvaged from old makes and small remnants that I had lying around. It was incredibly satisfying to clear my scrap pile of all the lovely linens (which are too beautiful to throw away, but too small to make anything worthwhile with). If you look closely, the front and back of the shorts are actually two different blues… this make was scrapbusting at it’s finest! The colour-blocking was determined by the scraps I had on hand. The shorts are based on the Carolyn Pyjama pattern. 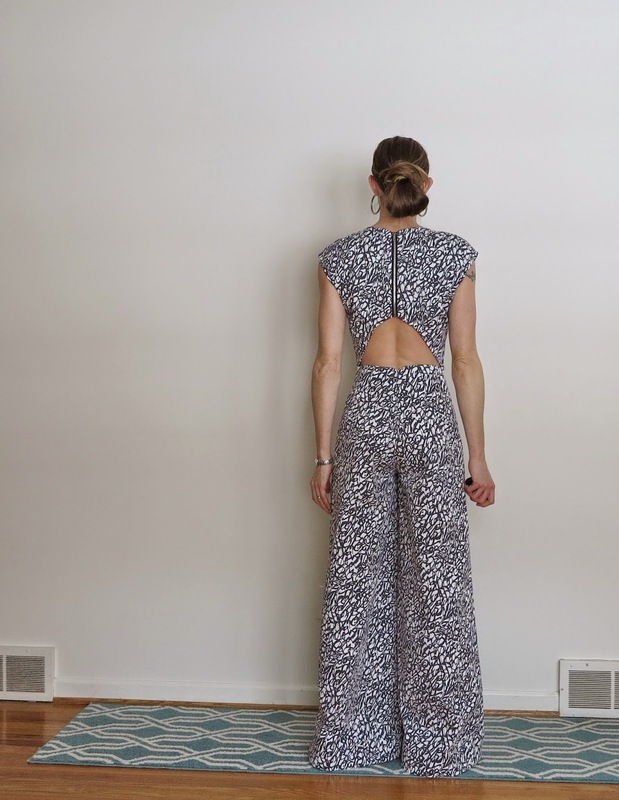 I lengthened the crotch rise (front and back) by 1.5 inches in order to raise the waistline and make them suitable for a romper design. The top half was designed by me. It’s very basic. I chickened out of the front-tie design I originally had planned. I liked the look better but the deep, deep neckline would have rendered it for beach-wear only. As it is, I may not love this make, but it will still be a practical wardrobe addition for Summer. 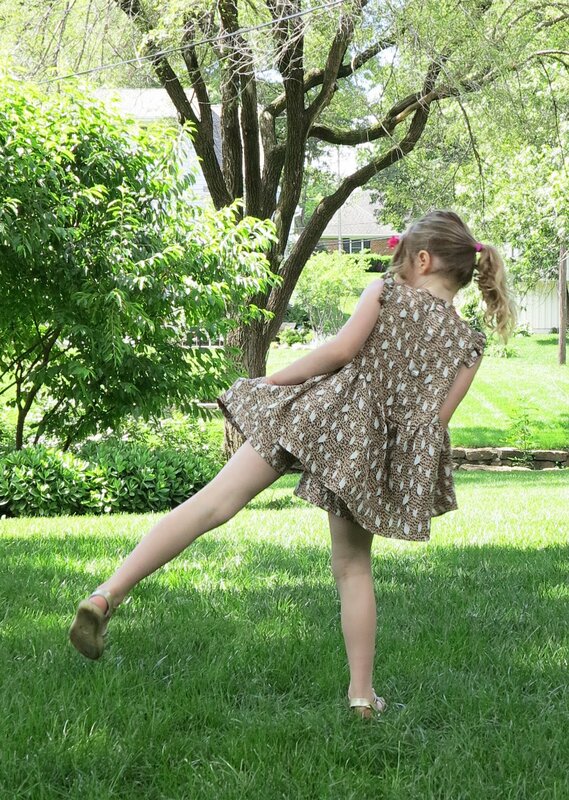 This entry was posted in jumpsuit, linen, playsuit, self-drafted, Tessuti Fabrics and tagged blue, Closet Case Files, linen, patternhacking, playsuit, romper, scrapbusting, Summer on April 26, 2016 by Debbie Iles. This fabric really has been around the block. It started as a dress. Then I turned it into a playsuit. And now I’ve shortened the legs again. Shortening the legs is hardly deserving of the word “refashion”. However, there’s are reason I’m showing you this. It’s amazing how significantly different a garment can look, after such a minor change. I didn’t mind the previous versions, but none of them were quite right. I’m so glad I persevered. 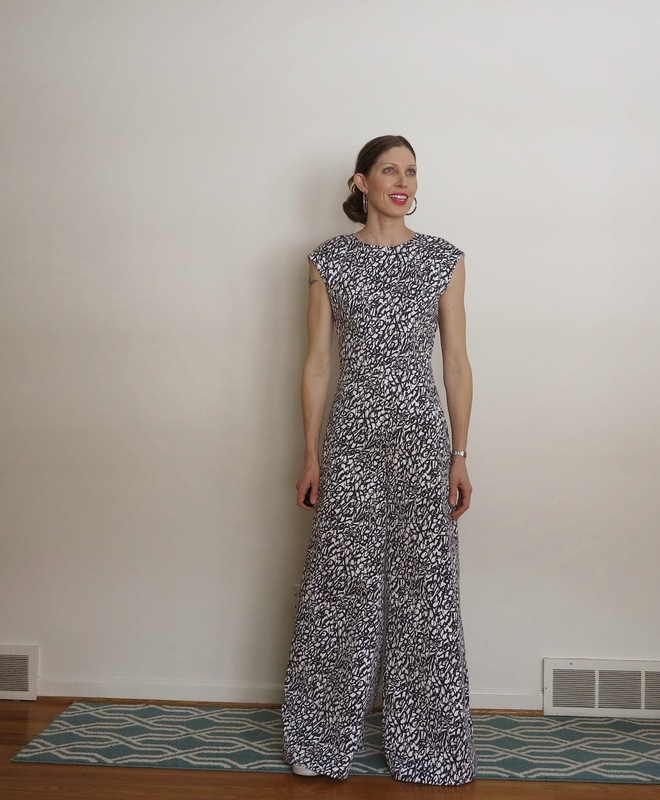 This entry was posted in dress, jumpsuit, pants, playsuit, refashioning, Tessuti Fabrics, upcycling, viscose and tagged playsuit, refashioning, romper, Tessuti Fabrics, viscose on June 19, 2015 by Debbie Iles. Culottes in a playsuit anyone? 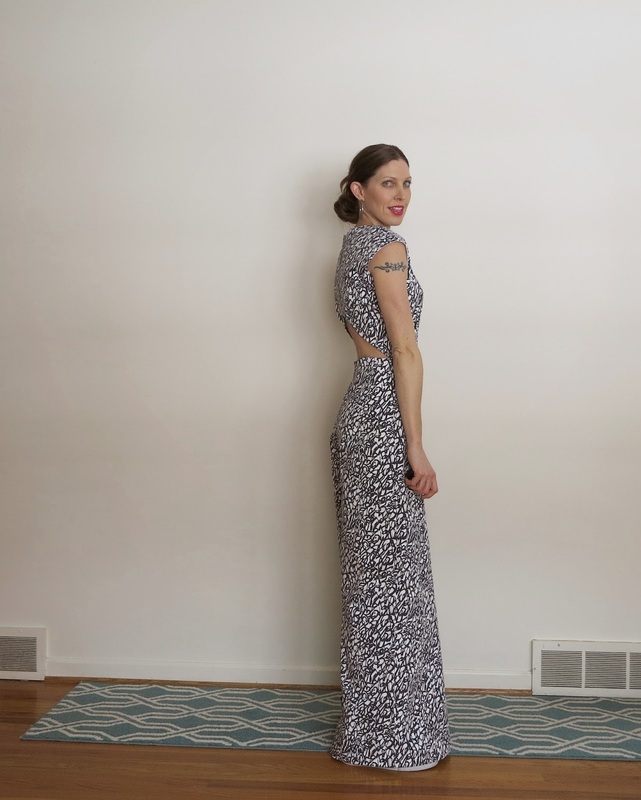 This little jumpsuit was refashioned from this dress. As pretty as the dress was, I found I wasn’t wearing it enough. I hate to see such stunning fabric locked away behind closet doors. 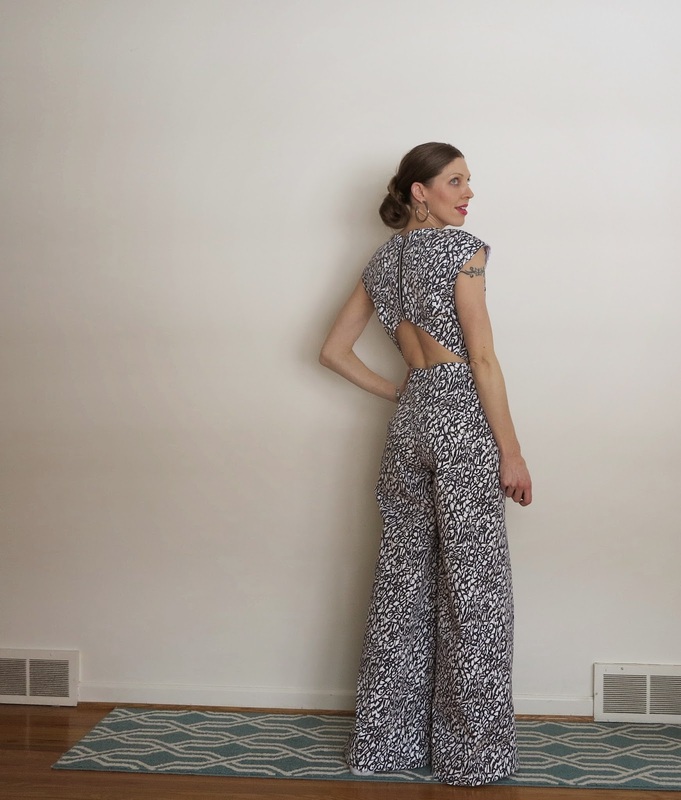 The pattern is my own design and the jumpsuit very closely follows the drafted pattern. The main difference is my slightly angled bottom panels. In trying to preserve as much of the dress as possible, I didn’t manage to align the hem very well. I also didn’t have much of a choice on pattern placement. It appears that I may have inadvertently positioned a solar system directly over my reproductive organs. Why is it that Bruno Mars and the case of the uterine foliage pops into my brain right now?! The main fabric is a gloriously drapey, woven viscose. It is a very special fabric. The bottom panels were made using silk jersey scraps I was lucky enough to have lying around. Navy CDC or silk organza were other options I toyed with for the panels. This playsuit is designed to be unfitted through the waist, with a slightly flared, cropped leg. 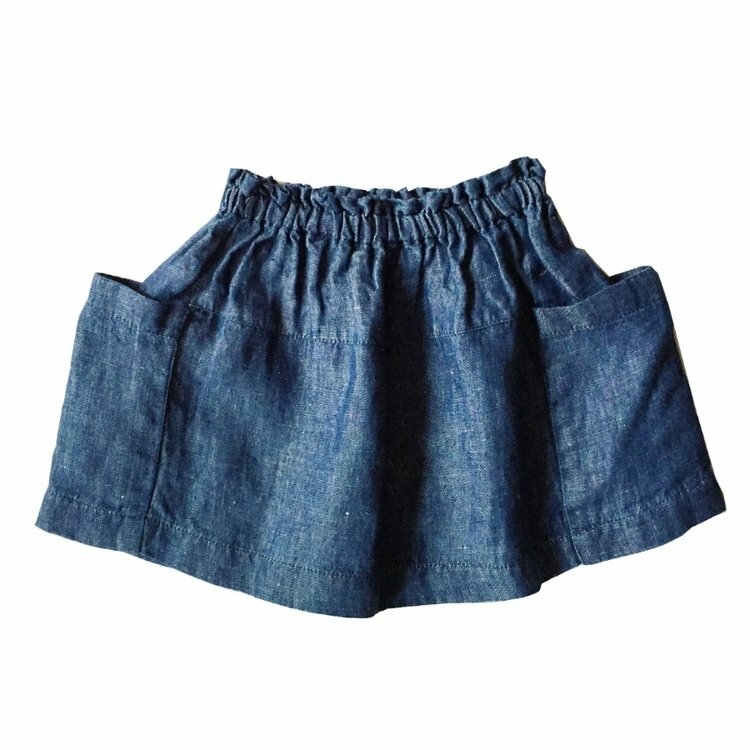 There is also the option of ditching the bottom panel for a shorter version and using a self-fabric waist tie to cinch in the waist for a more fitted look. I’d really love to see how this pattern plays out in linen, or especially, a heavier weight and more structured cotton sateen. This playsuit ticks a lot of boxes for me in terms of real life wearability. 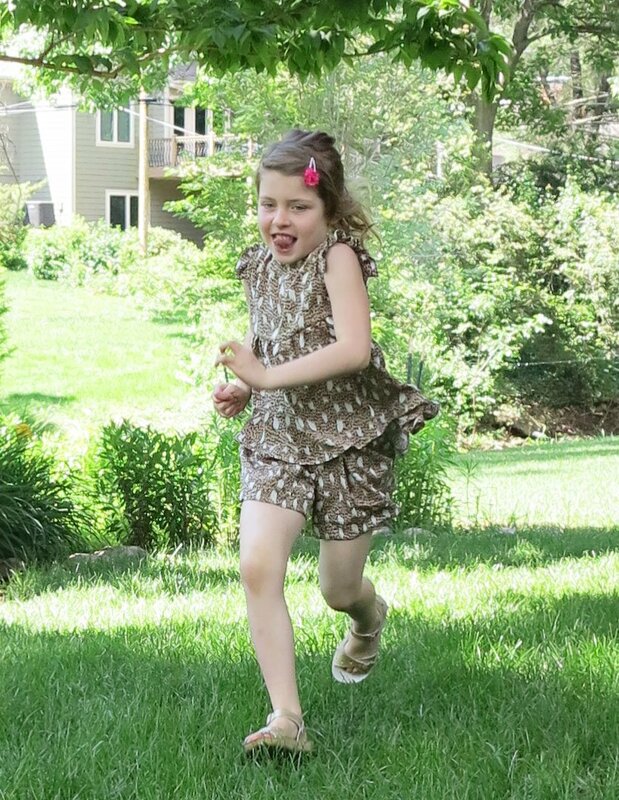 It’s cool for Summer, unrestrictive, and practical for chasing kids around in. So what do you think of playsuits right now? Could you see yourself in something like this? This entry was posted in fabric, jersey, jumpsuit, playsuit, self-drafted, silk, Tessuti Fabrics, viscose on March 10, 2015 by Debbie Iles.